I love hummus enough to have it for breakfast on toast on a regular basis. However, if I have my Slimming World hat on, I have to admit that there’s a lot of oil included in every mouthful. As I’m from County Durham there’s a familiar lower fat alternative – pease pudding, but that involves soaking yellow split peas and then simmering them for a couple of hours. I don’t always have the time or inclination. 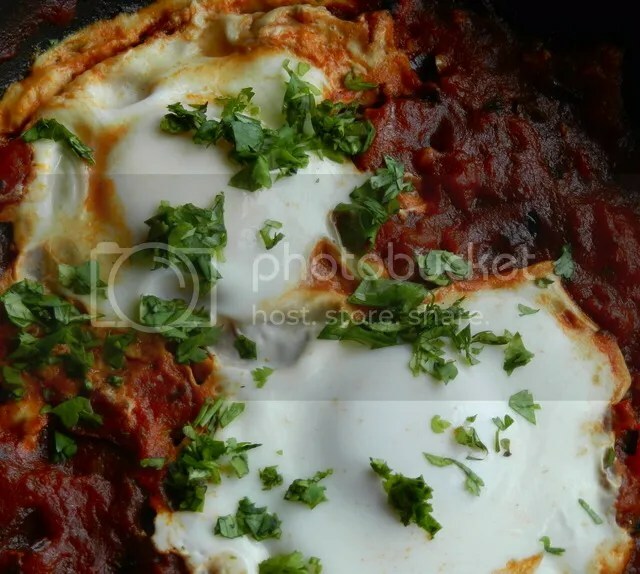 This is my quick alternative – lentil paste. This is the basic recipe to make about 600ml of spread. It is endlessly adaptable. You can spice it up or go mediterranean with it. It’s great on its own or in a sandwich. If you find you have too much, it will form the basis for a lentil curry. And it’s not only low-fat, it’s no-fat. Put all the ingredients into a saucepan, cover and bring to a simmer. Skim off the scum and let it simmer for 20-30 minutes until the lentils are cooked and soft. Stir with a spoon until you have a smooth paste. Put into a container to cool. This should be a fairly loose mixture when hot. 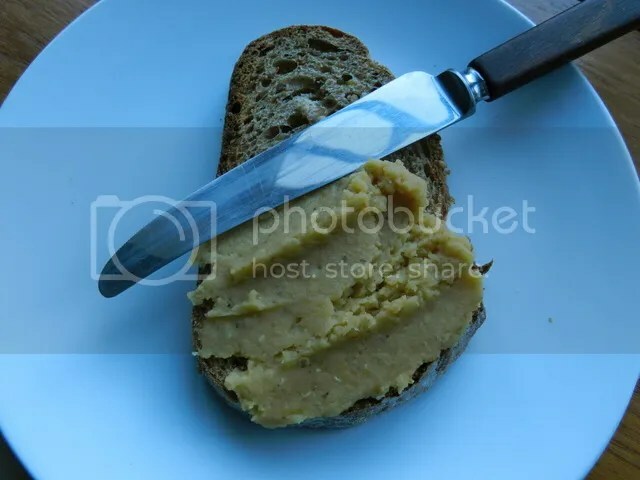 It will stiffen up when cold to a spreadable paste. If it goes too solid, stir in a little boiling water. You’re relying on the water in the mixture to keep it moist as it has no oil. A salad made with cold cooked noodles and whatever salad vegetables I have in the fridge has long been a favourite lunch of mine. The noodles cook in the few minutes it takes me to chop the vegetables. Once mixed together I’d add a handful of nuts, a couple of dashes of soy sauce, a bit of chilli sauce and I was good to go. There’s all the benefits of a salad but with the filling qualities of noodles. I was happy with that until I found this recipe for noodles with spicy sesame sauce at the Asian Vegan Eats blog. I didn’t have any sesame paste in the store cupboard but I did have peanut butter so I asked if it would work with that rather than the sesame paste. She said it would, and very kindly gave me the proportions to use. It may be the kind of peanut butter I used but I found that recipe (equal quantities of peanut butter, soy and black vinegar) to be too vinegary for me, so I’ve halved the amount of vinegar. I used peanut butter without added sugar. If yours has added sugar, I’d taste before I adding any extra sugar to the sauce. You may find you need more vinegar. The idea is to coat the salad ingredients in the sauce, so if it’s too thick, thin it down by adding water a little at a time until it’s the consistency you need. 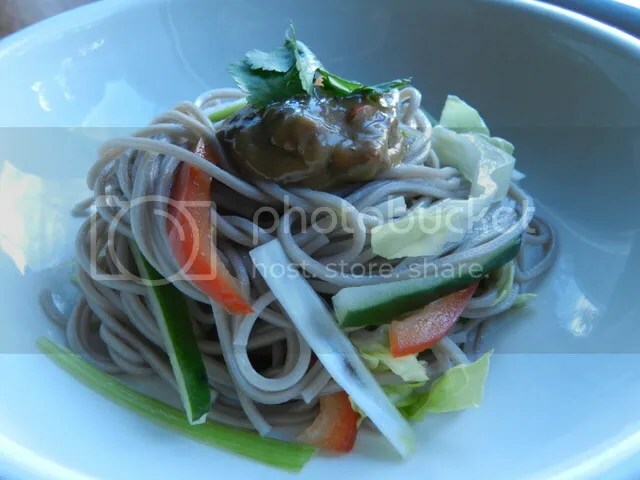 I’ve used soba noodles here, but it will be fine with any dried noodle down to and including the cheap packet instant noodles from the supermarket (don’t use the flavour sachet). Drain them and rinse under cold water until they are cold. Toss the noodles and the salad ingredients together in a large bowl. Make the sauce by combining the peanut butter, soy sauce, vinegar, sesame oil, garlic and chilli. Taste and add the sugar if necessary. Add a little water if the sauce is too thick. Pour the sauce over the noodles and stir until everything is coated. The Japanese Matsuri festival was held in Trafalgar Square on Saturday 6 October 2012. After a rainy week I was afraid it would be washed out, but although it was cold when I set out, it was a beautiful day when I reached Trafalgar Square. I don’t know how many attendees the organisers were expecting, but I should think they’re pleased because it was heaving when I got there. The main stage was set up by the base of Nelson’s Column. The food stalls were along each side of the square, with non-food stalls set up in front of the National Gallery. I went straight for the food stalls. There was plenty of sushi, unfortunately, from a veggie perspective, it was nearly all fish-based. I found a stall selling vegetarian sushi and grabbed some. I might complain about the number of veggie options on offer, but I can’t complain about the quality of the one I ate. That has to be some of the best sushi I’ve ever had. It was all about the rice, sticky but firm and incredibly fresh. I also tried some soy doughnuts. Sweet, but solid is the best description. Three of them had a sweet, red bean filling which didn’t have much flavour beyond its sweetness. A much more flavoursome dessert was the Macha Green Tea Ice-cream. At first you don’t get much taste beyond the sweet, cold creaminess but as you swallow the tannin of the tea kicks in. It goes much like this: sweet cold cream, sweet cold cream, sweet cold cream, TEA!!!! I don’t want to think that I exhausted the savoury vegetarian food options with my sushi, but looking at the other stalls, vegetarian food choices were few and far between. The frustrating thing Japanese food is that fish and meat steals into otherwise veggie food, so you can’t assume that the miso soup is vegetarian just because it doesn’t have lumps of fish or meat in it. It was disheartening to smell the most wonderful savoury aromas only to see nothing you could eat when you reached the stall. The most interesting food I saw there was okonomiyaki pancakes. They looked great, but the stall was swamped by customers and it was not the time to ask for a detailed breakdown on what was in the pancakes and the sauces. And as it turns out a typical ingredient is bonito flakes so they would have been off the menu anyway. Grrrr. I had a great time at the festival despite the veggie options, and the best sushi I’ve eaten counts for a lot. As I was eating my sushi the main stage had performers demonstrating the ‘Radio Taiso’ exercises that all Japanese schoolchildren do every morning. I think I need to start doing them on the train platform while I’m waiting for my train in the morning! This is a great warming soup for when the days turn cold. Low-fat too, as the onions don’t need sweating down before adding the stock and the lentils. Add the chopped onion, garlic, cumin, coriander, lentils and veg stock into a saucepan. Bring to a simmer. Skim off the scum. Let simmer for half an hour. Meanwhile heat a little oil in a frying pan and fry the sliced onions until they are golden brown. Reserve. When the lentils are cooked, blend the soup until smooth. Stir in the lemon juice and season with salt and pepper. 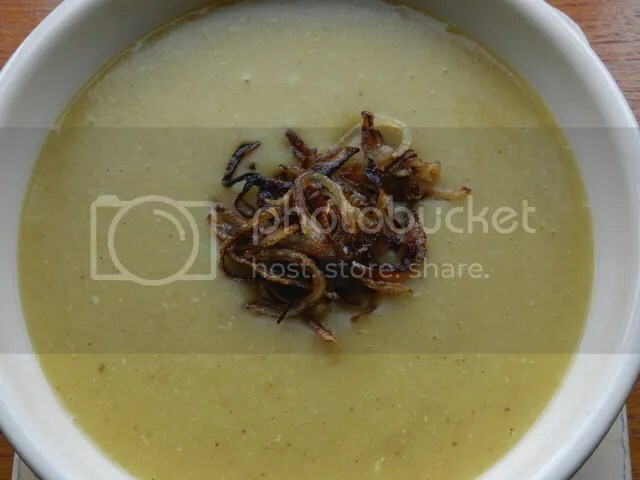 To serve, ladle into a bowl and sprinkle over the fried onion. I like my soups thick. “Thick enough to tap-dance on,” a friend said once. So add some hot water if this one is too thick for your taste. A cut down version without lemon juice or fried onion garnish still tastes great. If you don’t fancy the fried onions, some chopped coriander would be a good replacement. I first came across Quorn sausages before I was a vegetarian. Quorn features heavily in the Slimming World diet because it is so low in fat. I would eat Quorn mince, Quorn ‘chicken’ pieces and Quorn sausages as a way to lose weight. As with most vegetarian meat substitutes texture is everything, the appeal is not just the taste, but the mouthfeel to replace the meat you’re missing. The sausages tasted savoury enough but had a very solid, smooth texture. They felt as processed as the cheapest banger or the little sausages in tins of sausage and beans. And that’s how I usually ate my Quorn sausages – cut into pieces and microwaved with a tin of baked of beans – a safe and filling food. I was intrigued to find a couple of new varieties in the chiller cabinet recently. Quorn Chef’s Selection sausages. They come in two flavours: Wild Garlic and Parsley, and Best of British. I’ll pass over the marketing genius who came up with ‘Best of British’ as a flavour with a quick eye-roll. The wild garlic and parsley sausages are on the left. Raw, they have the same solidity as the ordinary quorn sausages, but it looks like they’ve tried to give some texture to the body of the sausage. I gave them their best shot and fried them, and I have to say they do fry to a nice golden colour. There’s a very fine ‘skin’ which crisped up to give slightly more of a normal sausage feel. However, the texture inside was as homogenous as before, although slightly looser in feel. In terms of flavour, Best of British appears to mean pork sausage of the cheaper end of the market, savoury but very bland. The Wild Garlic and Parsley sausage had a garlicky-oniony flavour, but there was no hint of parsley, and I wouldn’t use this sausage as a means to introduce anyone to the delights of wild garlic. In summary, they’re OK. They’d be fine as part of a cooked breakfast. I’d be careful about cooking with them though. I’ve already had a problem with them turning to mush in a cassoulet and I think the softer texture might be their downfall in stews or anything that requires long cooking.